Perry Fenwick has been separated from Angela Lonsdale since February 11, 2010. They have been married for 14.1 years and separated for 9.2 years. 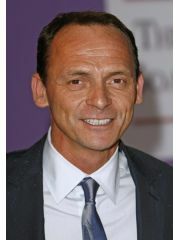 Perry Fenwick is currently available. Where and/or how did Perry Fenwick and Angela Lonsdale meet? Why did Perry Fenwick and Angela Lonsdale break up?